If, like me, you enjoy becoming immersed in classic period dramas such as ‘The Crown’, ‘Downtown Abbey’ or ‘Poldark’, which, biased as I am, the Brits excel in producing, have you ever wondered where they are filmed? It is rarely possible to use iconic locations, such as London’s Westminster Abbey or Buckingham Palace, so not surprisingly, in the highly acclaimed epic about Queen Victoria, VICTORIA, the scenes which take place in Buckingham Palace were actually shot several hundred miles from London in Harewood House, West Yorkshire. 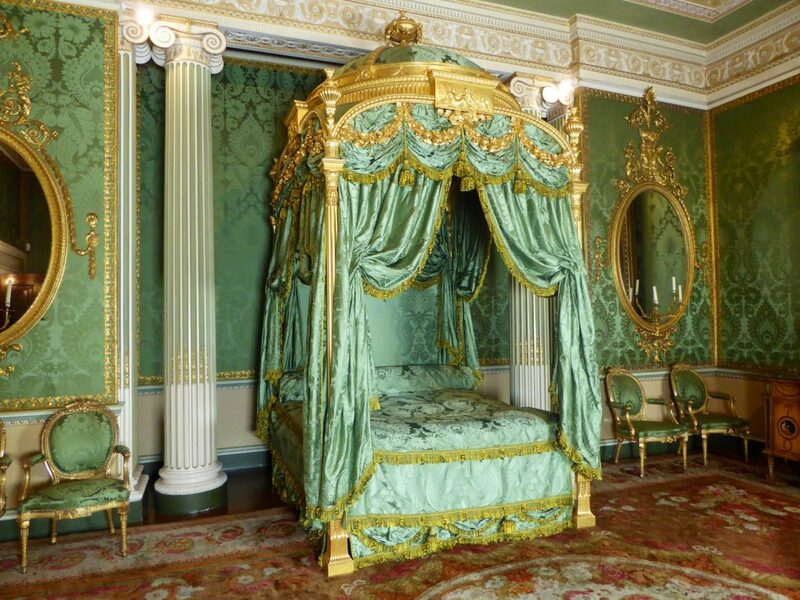 Designed by architects John Carr and Robert Adam, Harewood House was built between 1759 and 1771 for wealthy plantation owner Edwin Lascelles, 1st Baron of Harewood and remains one of England’s most stunning 18th century country homes. The young Princess Victoria actually visited Harewood House, in 1935, with her mother, The Duchess of Kent, to enable her to become acquainted with her future subjects. 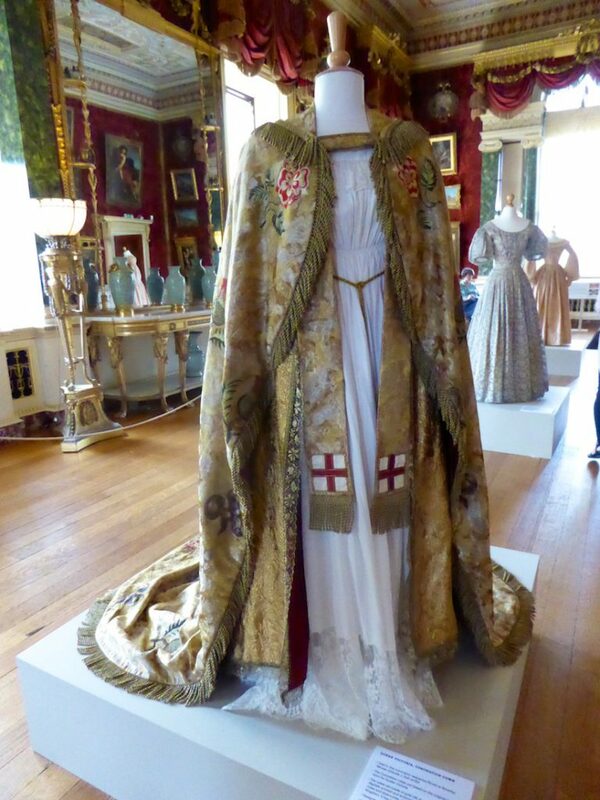 The house is also currently hosting an exhibition of the costumes created for the production. 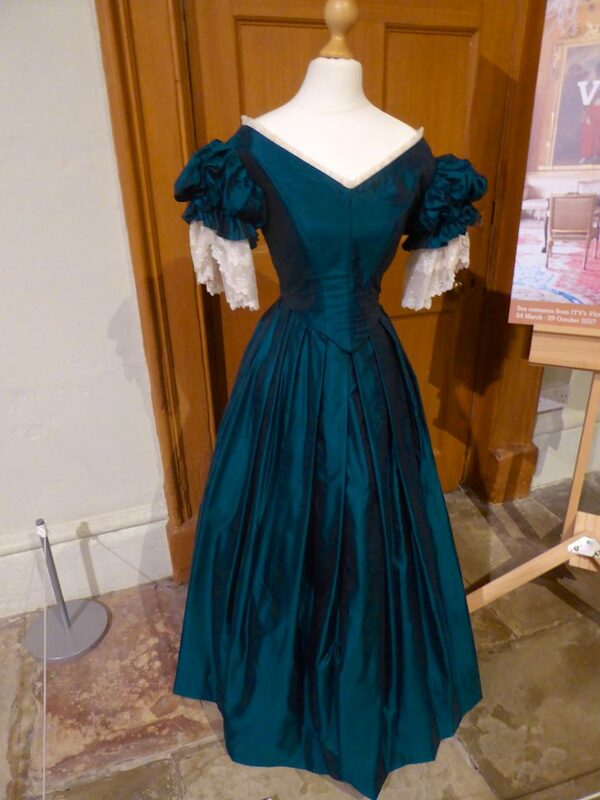 This dress, worn by Jenna Coleman, who so brilliantly plays Queen Victoria, was used in the title scene for each episode of the series. 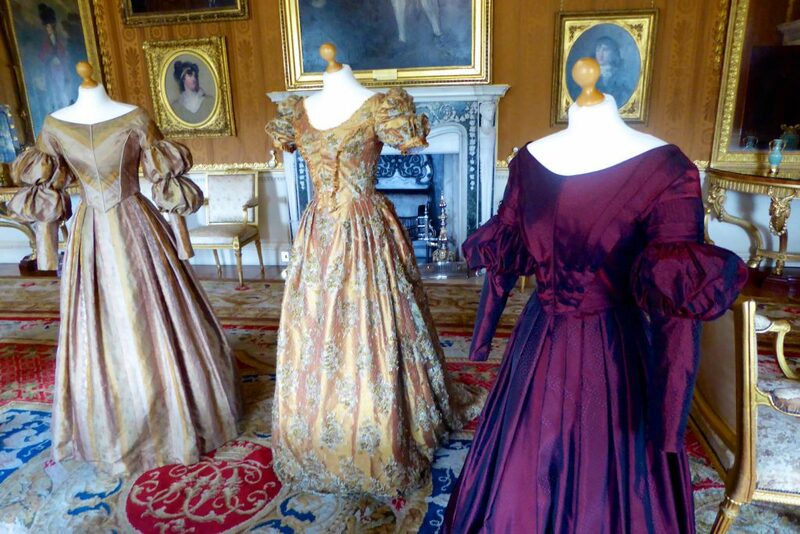 The dresses below were worn by Anna Wilson-Jones, playing Lady Portman & Margaret Clunie portraying the Duchess of Sutherland. Ironically both women had connections to Harewood House. Lady Portman was the daughter of the 2nd Earl of Harewood and first met Princess Victoria when she visited Harewood House in 1935, she became a Lady in Waiting in 1937. The Duchess of Sutherland, daughter of the 6th Earl of Carlisle, was a sister-in-law to the 2nd Earl of Harewood’ son, William Sebright Lascelles, she became Mistress of the Robes for Queen Victoria. 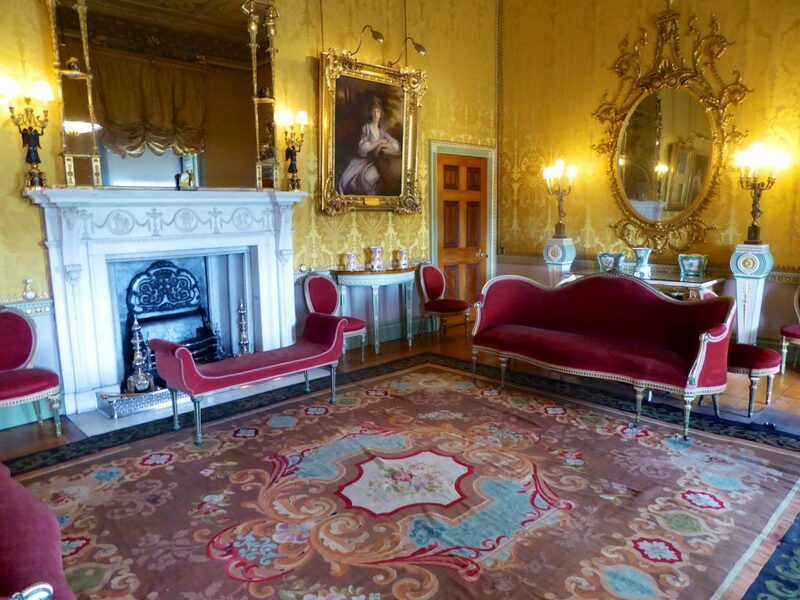 Later in the Victorian period the room was converted to the Countess’ sitting room as it is perfectly positioned to be able to admire the Terrace. 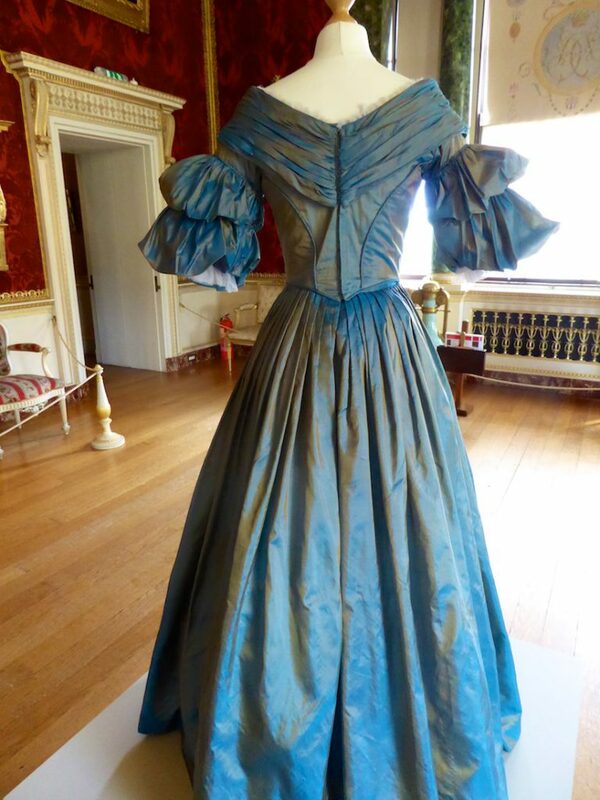 This dress was worn by Victoria when she meets Albert for the first time in Buckingham Palace in the dining room, Episode 2: Ladies in Waiting. The Gallery, where many of the costumes are on display, was built to hold grand banquets and balls and it was in here that Princess Victoria was entertained in 1835. 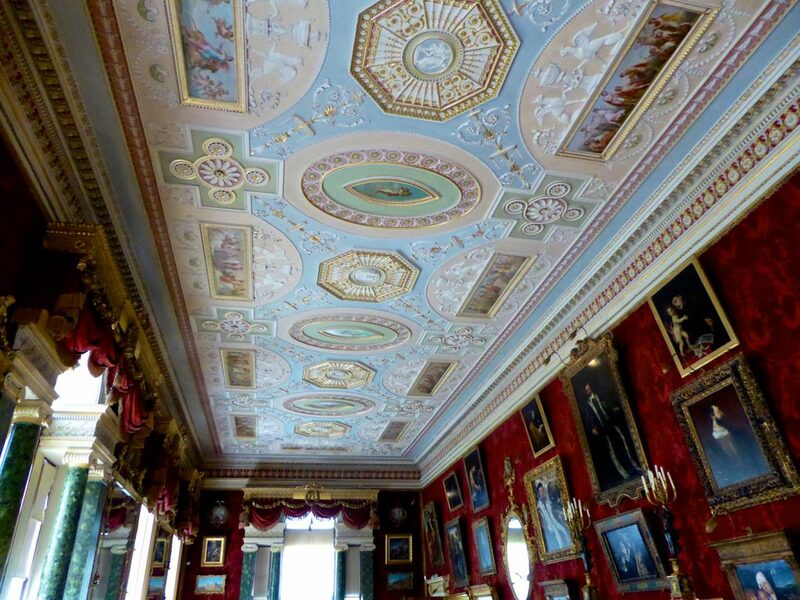 The Gallery was used in VICTORIA for the dining room scene set at Buckingham Palace. 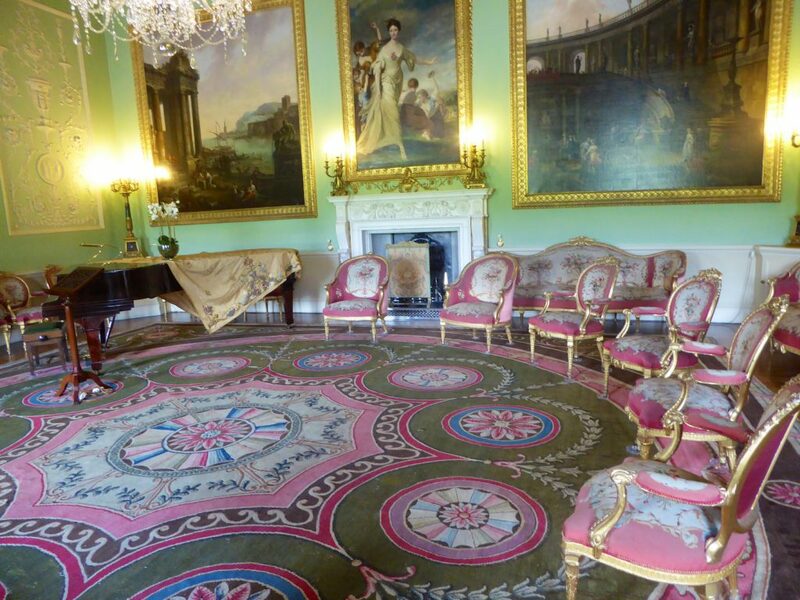 Harewood’s state dining room table was repositioned here and ornately dressed as befitting a royal occasion! This printed, silk and fine wool gauze dress was worn when Queen Victoria proposed to Albert in Episode 4: The Clockwork Prince. The coronation robes, made of gold damask, were based on the original designs worn by Queen Victoria. Embroidered with gold thistles, roses and shamrocks representing the United Kingdom they were edged with heavy gold fringing. 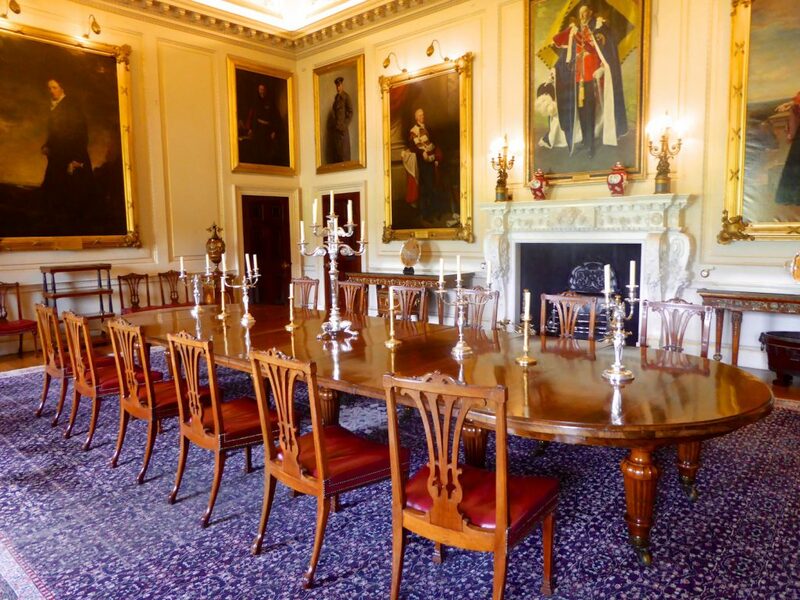 The dining room at Harewood House was designed by Sir Charles Barry who built the Houses of Parliament. Barry raised the original ceiling to make it more spacious, created new service passages to the kitchens and added full length panels to better display the family portraits. The walnut dining table replaced the four original tables and could seat thirty two. Much of the original Chippendale furniture remains including the two urn topped pedestals and wine cooler. The music room was used in VICTORIA when Victoria & Albert played Schubert together. The Terrace was also built by Sir Charles Barry in the 1840’s and is one of the most distinguished Victorian gardens designed in the classical Italianate style. The terrace and rear of the property features many times in VICTORIA as the rear of Buckingham Palace. 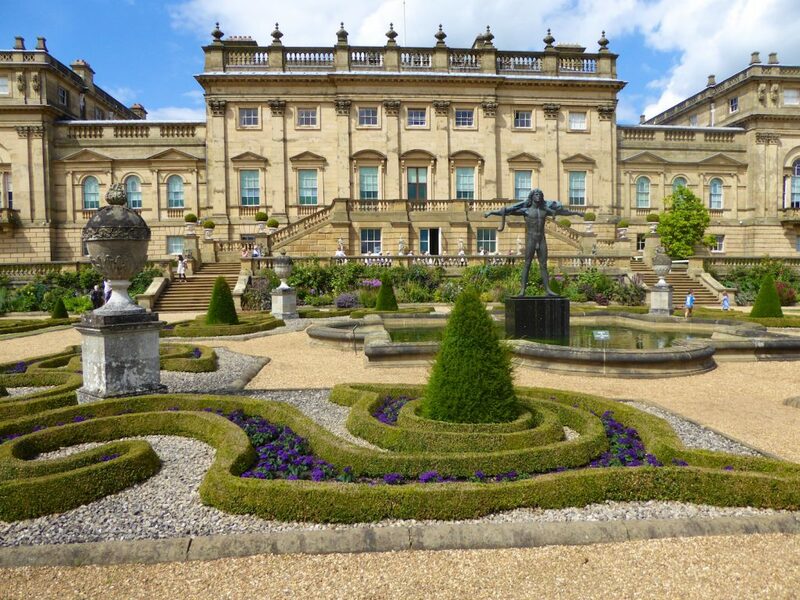 The impact of death duties and rising labour costs after World War II saw the Terrace and gardens at Harewood House fall into decline. 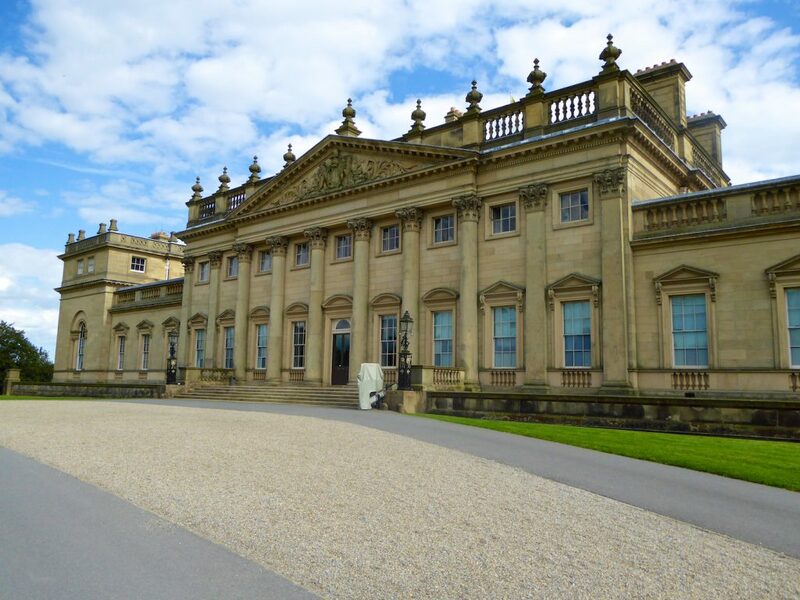 However it was restored in the 1990’s once the Harewood House Trust had been created receiving financial assistance from English Heritage and the E.U. In the UK, ITV is currently airing the second series of VICTORIA on Sundays at 9pm and it will be shown in USA on PBS early in 2018. 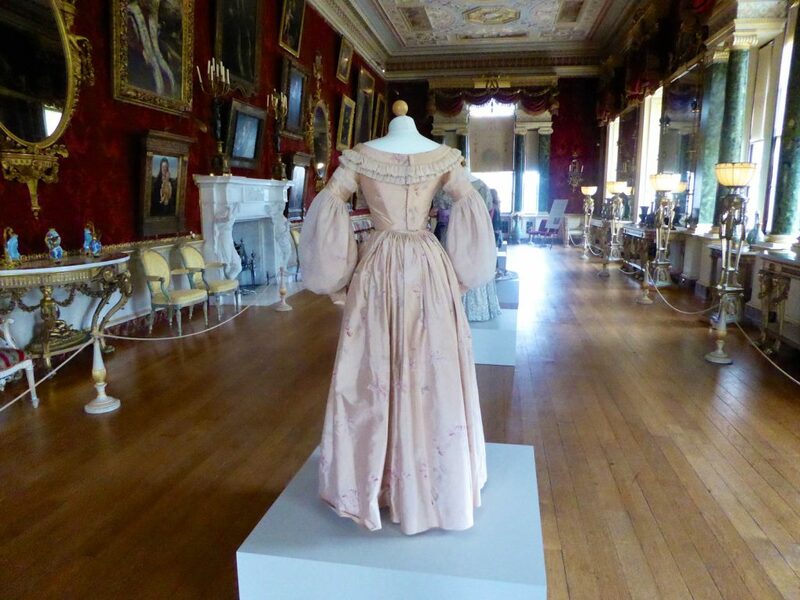 Do visit Harewood House if you are in the north of England, the VICTORIA Exhibition is on until October 29th 2017 and for lovers of fashion should not be missed! Simply enchanting! Thank you for letting me take a peak at a beautiful home! Previous Article Beautiful Finds in San Francisco & Los Angeles!